Overwhelmed by all that Rotorua has on offer? Here are the top 5 picks for what to do when visiting New Zealand’s favourite playground! Whakarewarewa – The Living Māori Village provides visitors with the opportunity to discover the distinctive lifestyle and customs of the Māori Culture. Guided Tours led by local residents help visitors gain an understanding of how the local Māori utilise the underlying geothermal field in their daily lives. Don’t miss the freshly prepared geothermal hangi meals and the family-friendly interactive cultural performances which take place twice daily. 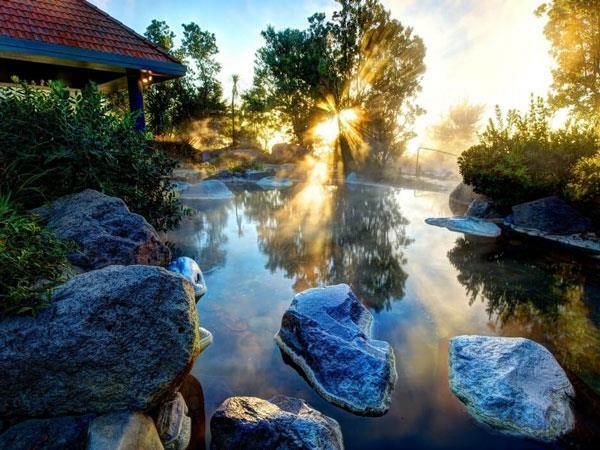 Continue your exploration Rotorua’s geothermal treasures at the ever-popular Polynesian Spa. 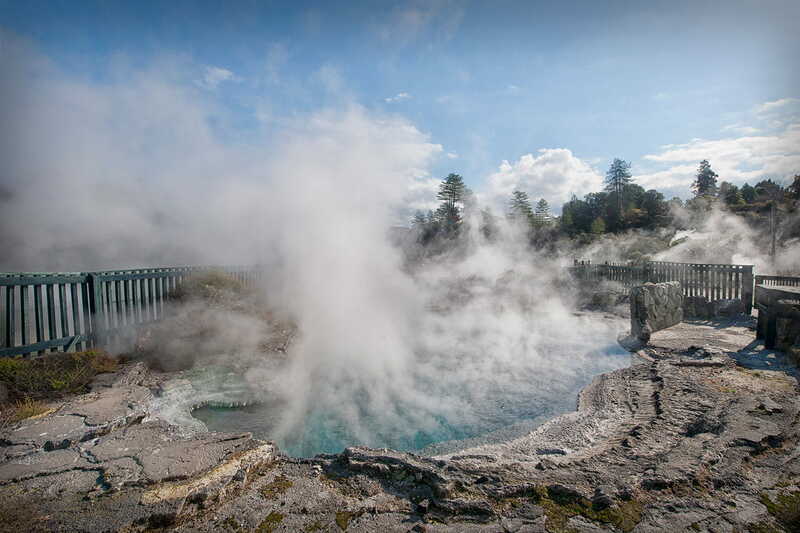 Experience the natural hot mineral waters found through-out Rotorua which are renowned for their healing powers. The facilities at Polynesian Spa offer something for all travellers, including families, groups, or individuals. Take your pick from the spacious and affordable Family Pools, the multi-temperature Adult Pools, Individual Private Pools, or the Deluxe Lake Spa with its premium amenities and picturesque views across Lake Rotorua. Rotorua Canopy Tours offers a unique encounter with the stunning New Zealand bush. Fly through the forest canopy on 1.2km network of zip lines, swing bridges and platforms as you experience New Zealand in its most natural. The faint of heart need not fear, as the tour slowly builds up in height and speed, and also places a strong priority on education and conservation, making their tours both thrilling and education. Get to know a different type of local at Rainbow Springs Nature Park, where among the inhabitants you will find native birds, the prehistoric Tuatara and a whirlpool of oversized trout and native eels. The famous Kiwi bird takes top billing at Rainbow Springs, with two options to see these fluffy characters, both during the daytime and at night. Daytime visitors can view kiwi in the nocturnal house, while evening visitors can come back and catch a glimpse of the kiwi in the open-air aviary after dark. Don’t miss out on the daily Bird Show and the thrilling Big Splash, which tend to be favourites among the younger crowds. Situated at the lake end of Tutanekai Street, Eat Streat is a true foodie destination that is popular among locals and visitors alike. The covered al fresco dining areas and geothermally heated footpaths make this a great indoor/outdoor culinary experience year-round. With a wide range of bars, restaurants, cafes (and even an ice cream shop! ), there’s something here for everyone.